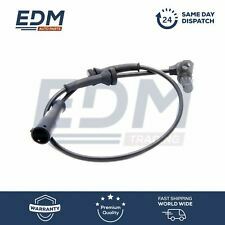 Capteur ABS Land Rover Range Rover Sport 3.0 TD 4x4 4.2 4x4 4.4 4x4 BOSCH. Nombre de dents, anneau ABS 60. SERVICE DE SUPPORT. /// Numéro de comparaison. Largeur [mm] 13,1. LAND ROVER ROVER RANGE ROVER EVOQUE Convertible (L538) 2.0 4x4 204PT 1999 177 4 Convertible 2016-. LAND ROVER ROVER RANGE ROVER EVOQUE Convertible (L538) 2.0 D 4x4 204DTD 1999 110 4 Convertible 2016-. 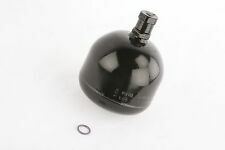 PART NUMBER SSW500030. Part Number: SSW500030. LAND ROVER DISCOVERY 2. Fits all Discovery 2 1998-2004. REAR ABS SENSOR. LAND ROVER DISCOVERY SERIES 2 TD5 COMPLETE REAR HUB WITH ABS SENSOR WILL FIT EITHER LEFT OR RIGHT REAR HUB. IN GOOD USED CONDITION will fit 1999-2004 models V8 PETROL OR TD5 DIESEL. WE ARE A INDEPENDENT LAND ROVER REPAIR AND PARTS CENTRE WE HAVE A WIDE RANGE OF GOOD QUALITY USED PARTS AS WELL AS NEW FOR DISCOVERY,RANGE ROVER CLASSIC AND DEFENDER PARTS. Equivalent to Land Rover STC1749 (used for reference only). Defender 90/110/130 –All models with ABS to 2006. Discovery 1 –All models with ABS. DLS LAND ROVER SPARES UK. ABS Front Sensor. UK MAINLAND Flat Rate to 30kgs = FREE. Pièce No : TAR100060R. Manufacturer Part Number TAR100060R. Véritable Bearmach haute qualité Composants connu partout dans le monde pour les pièces de haute qualité. C'est adapté aux côtés de main droite ou gauche sur tous les modèles de Land Rover Discovery 2 entre 1998 et 2004. TAR100070 Rear ABS Sensor. Part Number: TAR100070. (Supersedes SWS500030). 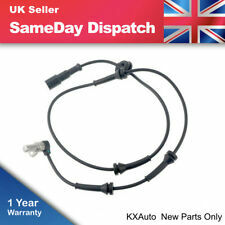 Land Rover Discovery 2 Rear ABS Sensor Wire. Land Rover Discovery 2, (1998-2004). Land Rover Parts. Discovery Parts. Series 2 & 3 - Defender 90/110/130, Discovery 1,2,3,4,5 & Sport - Freelander 1 & 2 - Range Rover Classic, P38, L322, L405, Sport & Evoque. Type: ABS Ring. Ring Type: 48 t. Searching by OE number and match the provided pictures too, that's the BEST way to IDENTIFY AND CONFIRM. Manufacturer Part Number : TDB5000100. Color: Silver. Numéro de pièce OE pour référence :-SWO500030. Manufacturer Part Number SWO500030. Part Manufacturer Wabco. écrous de roue Salut lever prises & ACC. Manilles de Bow Cordes et sangles Treuils & ACC. Type ABS Modulator. Part No : TAR100060R. Genuine Bearmach High Quality Components known all over the world for high quality parts. L R Parts Ltd is an authorized Bearmach distributor, we specialize in new Land Rover Spares, stainless steel bolt sets for Land Rovers and general maintenance parts. Land Rover Discovery 1 ABS Booster Unité WABCO pompe. ANR5263. Range Rover CLASSIC. Land Rover Discovery 1 ABS Booster unit Wabco pump. ANR5263.Range Rover classic.. Condition is Used. Removed in perfect working order. STC1749 Front ABS Sensor. Part Number: STC1749. Land Rover Discovery 1 New Front ABS Sensor. Land Rover Discovery 1, (1989-1998). Land Rover Parts. Discovery Parts. Series 2 & 3 - Defender 90/110/130, Discovery 1,2,3,4,5 & Sport - Freelander 1 & 2 - Range Rover Classic, P38, L322, L405, Sport & Evoque. LAND ROVER DEFENDER 90/110 - TD5 TDCI - BRAND NEW OEM WABCO ABS MODULATOR YOU ARE PURCHASING A BRAND NEW OEM ABS MODULATOR WHICH COMES WITH A 2 YEAR WARRANTY FROM DATE OF PURCHASE. IMPORTANT NOTE: **PLEASE NOTE THAT THIS PRODUCT COMES BAGGED VACUUM PACKED. ONCE OPENED, THIS PRODUCT CANNOT BE RETURNED - THUS YOU SHOULD CONTACT US WITH YOUR CHASSIS NO TO ENSURE YOU ARE PURCHASING THE CORRECT PART - BEFORE PURCHASE**. COMPATIBILITY: LAND ROVER DEFENDER 90/110 FROM CHASSIS NO WA150590 TO AA999999 (NOT NAS) PLEASE CALL US WITH YOUR CHASSIS NUMBER BEFORE PURCHASE. PART NUMBER - SRB500550 Manufacturers part numbers are used for identification purposes only. **** call Simon. Land Rover Range Rover L322 Off / Nearside Front. 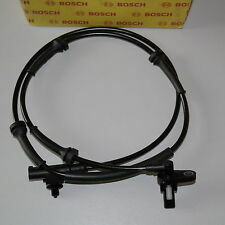 Range Rover MK3 Front Left / Right ABS Speed Sensor. 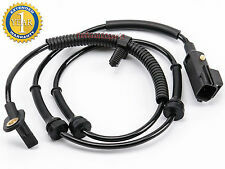 1x Range Rover MK3 Front ABS Speed Sensor. Range Rover 4.4 V8 from 2002 to 2012. Range Rover 3.0 TD6 from 2002 to 2012. LAND ROVER RANGE ROVER III (LM) 2002/03-2012/08. LAND ROVER RANGE ROVER SPORT (LS) 2005/02-2013/03. Type: ABS Ring. Searching by OE number and match the provided pictures too, that's the BEST way to IDENTIFY AND CONFIRM. Numéros de référence OE : TAR100070 & SSW500030. Other Part Number SSW500030. Manufacturer Part Number TAR100070. écrous de roue Salut lever prises & ACC. Manilles de Bow Cordes et sangles Treuils & ACC. Part No :- SWO500030. Land Rover Discovery 2 - Td5 / 4.0l V8 All Models. Manufacturer's Part numbers are used for reference purposes only. 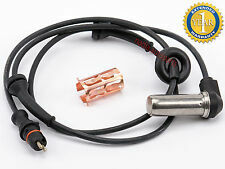 SSW000020 ABS Sensor. Part Number: SSW000020. 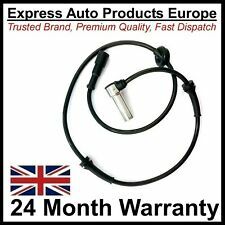 Land Rover Freelander 1 Rear ABS Speed Sensor. Land Rover Freelander 1, (2002-2006). Freelander Parts. Series 2 & 3 - Defender 90/110/130, Discovery 1,2,3,4,5 & Sport - Freelander 1 & 2 - Range Rover Classic, P38, L322, L405, Sport & Evoque. Reference OE/OEM Number STC2786 STC3385. Manufacturer Part Number STC2786. Other Part Number STC2786. Land Rover Range Rover P38 tous modèles de 1994 à 2002. 1 x capteur ABS avant pour Range Rover P38. STC1750 ABS Sensor. Part Number: STC1750. 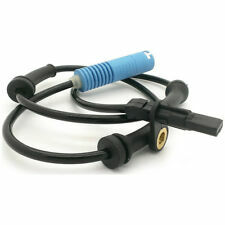 Land Rover Discovery 1 Rear ABS Sensors. Land Rover Discovery 1, All Models. Land Rover Parts. Discovery Parts. Series 2 & 3 - Defender 90/110/130, Discovery 1,2,3,4,5 & Sport - Freelander 1 & 2 - Range Rover Classic, P38, L322, L405, Sport & Evoque. NOUVEAU OEM WABCO ALLEMAGNE FABRICANT SWO500030. Interchange Part Number DISCOVERY 2 ABS MODULE SWITCH REPAIR KIT. Interchange Part Number Discovery 2 Three Amigos ABS Module. Interchange Part Number ABS MODULE SWITCH REPAIR KIT. Oe part number for reference :- SWO500030. A new genuine OEM Wabco ABS brake shuttle valve modulator. Wheel Nuts Hi lift jacks & Acc. Tyres Safari Snorkes Defender Parts Discovery Parts Range Rover Parts Wheels Tools Gift Ideas Series Discovery 1 89-93 Discovery 1 94-98 Discovery 2 99-04 Range Rover Classic Range Rover P38 Range Rover l322 Freelander Discovery 3 Defender 90 & 110.